This has been one of the busiest months I’ve had in recent memory, and I admit that I’m enjoying it. Something about the constant travel, lack of sleep, meals on the run, and life on the go that make me feel strangely satisfied. During those times when I relax and do mundane things like return emails, fold laundry, take my dog for a walk, and go to bed at a decent hour, I feel restless and bored. After all, I was raised with the JA work ethic that often smacks me in the face and says no matter how much you enjoy rest and relaxation, you need to get busy doing important things – like, for one, making money. I’m ashamed to say that I haven’t been making money but I have been busy doing things that have been tremendously fulfilling and, hopefully, important. One has been showing our film “A Flicker in Eternity” (the story of Stanley Hayami, a promising Heart Mountain teenager who ends up being drafted to serve in the 442nd) to enthusiastic audiences from Eugene and Seattle to Washington, D.C. This story is near and dear to my heart, and I’m happy to say that we not only screened last week at the L.A. Asian Pacific Film Festival but have two more L.A. screenings coming up, one on June 1 at the Japanese American National Museum and another on June 8 at the Katy Geissert Library in Torrance. The other has been to help promote the Congressional Gold Medal currently on display at the Japanese American National Museum to honor the Nisei vets. These men deserve more attention than a piece of gold could ever signify, but that said, it’s great standing next to the real thing. Also, recently when the Japanese foreign minister visited Little Tokyo and asked to lay a wreath before the Go For Broke Monument, I got to be there as he bowed before four of the honored vets. Moments like these make me realize just how significant our history is on the world stage. Everything came together last week when I was in Washington, D.C. to screen our film at the GI Film Festival. The day I arrived, I was fortunate to attend the White House Forum on AAPI Heritage, an event that marked another tremendous turning point for Asian Americans and Pacific Islanders with the designation of AAPI Heritage Month by President Obama and a commitment to do more to recognize our still underrepresented group. I got to hear people like Interior Secretary Sally Jewell talk of the importance of AAPIs and their contributions to the national landscape, and was reinvigorated by many members of our own community speaking about the importance of continuing to tell our story. It was exciting to see our own esteemed leaders like Joan Shigekawa, acting chair of the National Endowment for the Arts, Lisa Hasegawa, executive director of the National Coalition for APA Community Development, Franklin Odo, chair of the AAPI Scholars Panel, and the honorable Norman Mineta there to represent our community. 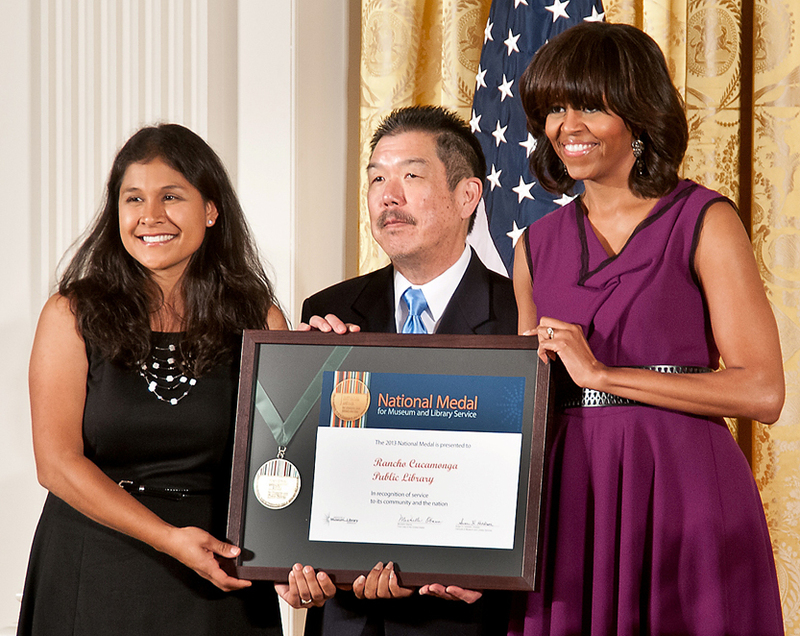 It so happened that on the same day just across the way at the White House, one of our very own Angelenos, Robert Karatsu, was being honored as the best and the brightest in his field. Representing the Rancho Cucamonga Public Library, library director Robert accepted the nation’s highest honor bestowed upon museums and libraries for community service from the First Lady herself. 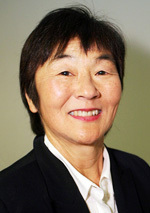 In case this award sounds familiar, JANM received the same prestigious honor in 2010 and garnered national attention for preserving the Japanese American story. In this case, it took an individual like Robert to lead his institution to focus on cultural diversity and as he put it, “to build a sense of community and joy.” In a sense, he is a shining example of what it is to be Japanese American — complete with our struggles and our joys. As I travel around showing our film and meeting people who know little about the story of Japanese Americans who suffered and fought for this country, I’m reminded of the many lessons our community can offer by way of our shared history of honor, valor and overcoming adversity. At the GI Film Festival, as I watched films about the wars in Afghanistan and Vietnam and the unacknowledged heroes who fought in them, I thought about how easily history repeats itself unless we take note of our past. The same applies to ensuring that in the face of the war on terrorism, we are diligent in guarding against racial profiling. In some small way, we can all offer by example what it takes to honor our past while providing hope for the future. I especially salute the many among us, like Robert and other AAPI leaders, who through their leadership provide hope of real change. Hey Sharon. First of all, thank you so much for the nice article about me being at the White House to accept the National Medal for Museum and Library Services on behalf of the Rancho Cucamonga Public Library. It truly was an honor to get to meet First Lady Michelle Obama and to hang out at the White House for a few hours! But I also wanted to mention that the first thing I said to my wife after the ceremony ended was how proud I think my parents and my Jichan and Bachan would be for me. From a generation who were arrested and put in internment camps to having their child being invited to the White House to accept an national award speaks volumes for how truly amazing my parents and grandparents are. They sacrificed *everything* so that I could have the opportunity to do what I do. And even if I never won a national award, just being able to do what I do would not be possible with all of the hard work, toil, and heartbreak that they had to endure. So to all of the Isseis and Niseis who came before me, and in particular my mom Mary and all of the Tamakis and Karatsus, I humbly dedicate the National Medal to all of you.